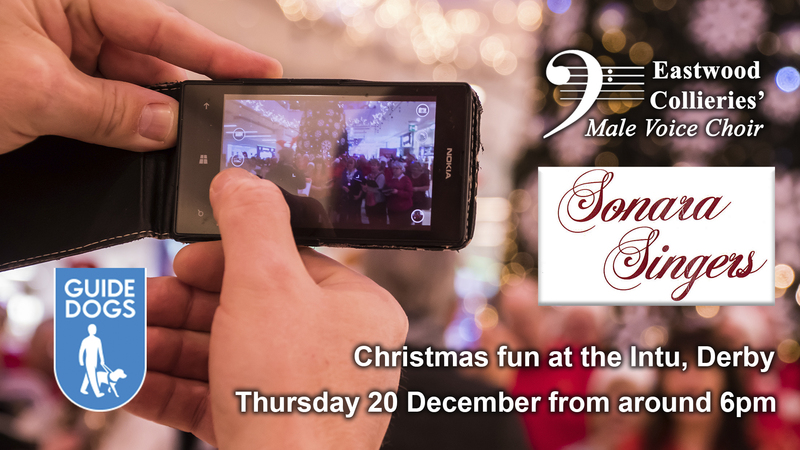 ECMVC and Sonara join forces again, this year, to perform festive items for the late night shoppers of Derby. Always packed with laughs, the generous Derby shoppers always donate their loose change to raise significant amounts each year. This year, the choirs will be collecting funds for Guide Dogs For the Blind.